The Honor 7i has a camera that can flip around for some quality selfies. The imager in question has a 13-megapixel resolution, an f/2.0 aperture, a 28mm wide-angle lens and dual-tone LED flash. 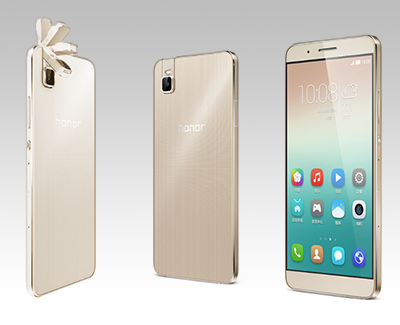 The Honor 7i can utilise the screen to brighten your selfies in the dark. There's also a fingerprint reader located on the left side of the mid-frame, and it doubles as a camera button for left-handed selfies. Specifications include an octa-core Snapdragon 616 chipset (4 x 1.5GHz + 4 x 1.2GHz), a 5.2-inch 1080p IPS display, up to 3GB of RAM, up to 32GB of internal storage, a 3,100 mAh fixed battery, dual-Nano SIM slots (one of which can take a microSD card) and a colour option of either silver or gold. There's no word on global availability just yet, but the base model in China (2GB RAM, 16GB of internal storage, for China Mobile) costs 1,599 yuan or about $250, whereas the top model (3GB RAM, 32GB of internal storage) goes for 1,899 yuan or about $300. 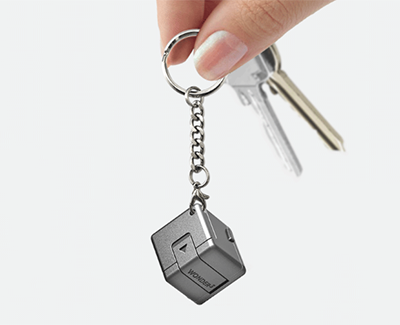 WonderCube has a built-in Lightning and microUSB cable, a micro-suction phone stand, USB key and microSD card reader, a USB connection, emergency 9V battery connection and mini torch. And all in a package no bigger than one cubic inch. In other words, it can charge your phone, sync files and prop your phone up in either landscape or portrait by sticking to the back. In order to charge your phone 'on the move' you slot in a 9V battery, giving you around three hours extra talk time for Android and iOS devices. It is a neat little device that packs a lot into a small package. And for $69 (£46), or $49 if you buy from Indiegogo, it's very affordable too. 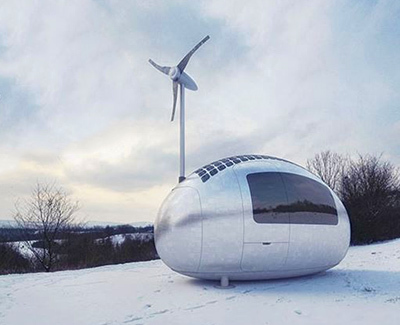 The Ecocapsule is the latest in tiny home living, where you can live off the grid for up to a year. A Bratislava-based architectural studio called Nice Architects came up with the idea. It is powered by a retractable wind-turbine, and is also equipped with solar panels. It captures rain water and inside has a hot shower, kitchenette with running water, and a flushing toilet. The dual power system and a high-capacity battery ensure that you will have enough power during periods of reduced solar or wind activity. The spherical shape is optimised for the collection of rainwater and dew, and the built-in water filters allow you to utilise any water source. 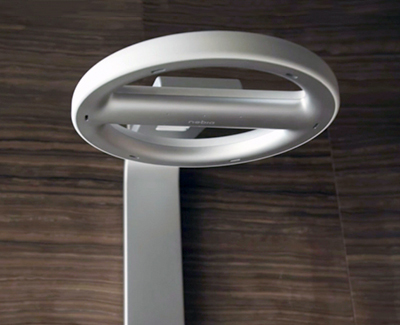 Nebia is a fully self-installed shower system with an adjustable bracket and a portable wand. Nebia atomises water into millions of tiny droplets with 10 times more surface area than your regular shower. With Nebia, more water comes into contact with your body, leaving your skin clean and hydrated all while using less water than a typical household showerhead. Nebia uses 70% less water than a typical household showerhead.